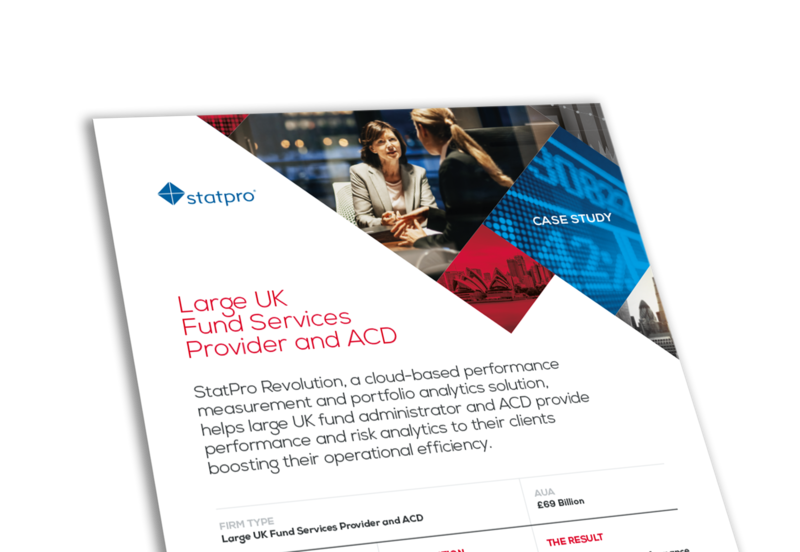 StatPro Revolution, a cloud based performance measurement and portfolio analytics solution, helps large UK fund administrator and ACD provide performance and risk analytics to their clients, boosting their operational efficiency. Being able to provide accurate, detailed portfolio analytics and risk monitoring to their clients in a timely and efficient manner. A truly integrated performance measurement and risk analytics platform that can operate at scale and enhance their customer service offering.